Please note we have limited numbers of stock of these styles available. Please purchase quickly to avoid disappointment. 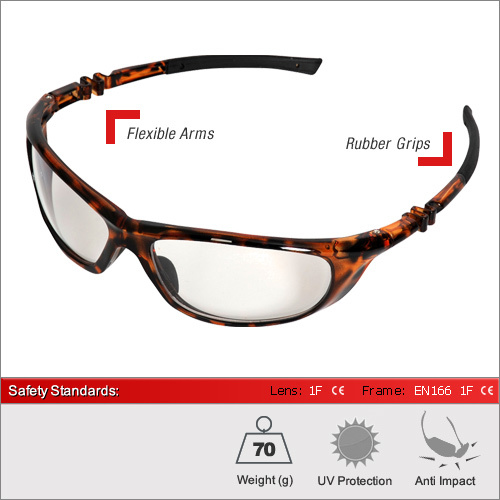 A low cost pair of safety glasses when compared to the likes of the more well known brands such as Bolle but still encompassing some impressive specifications. Rubber tips on the arms help with grip and a folded section give the arms additional flexibility to suit a range of face sizes. 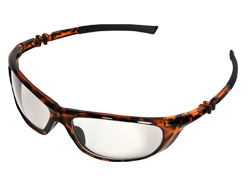 The lenses have an anti-scratch coating and anti-fog lens.